The Husband, His Wife and Her Mother! 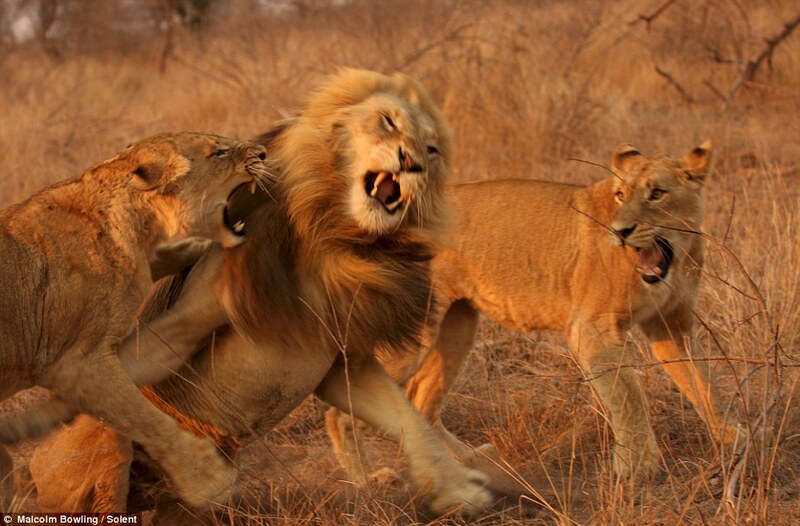 Two lionesses stalk their male counterpart before launching an extraordinary attack on the stunned lion. 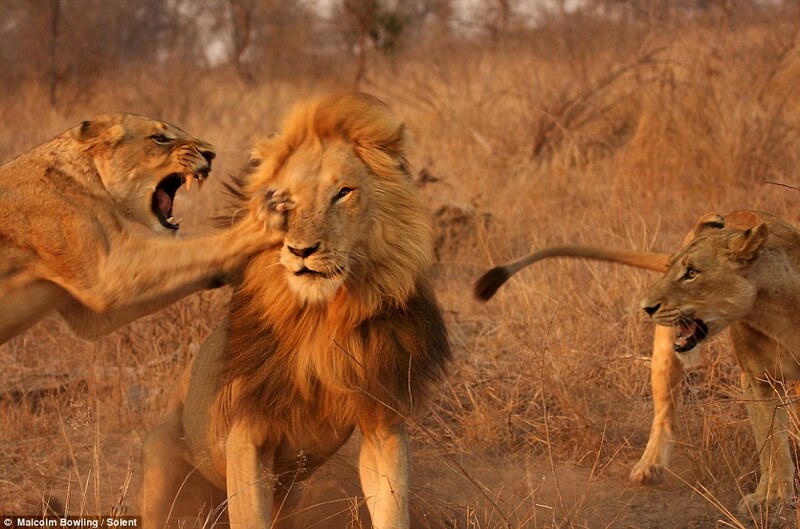 The dramatic set of photographs capture in startling detail the moments two females trade blows with the bigger lion. 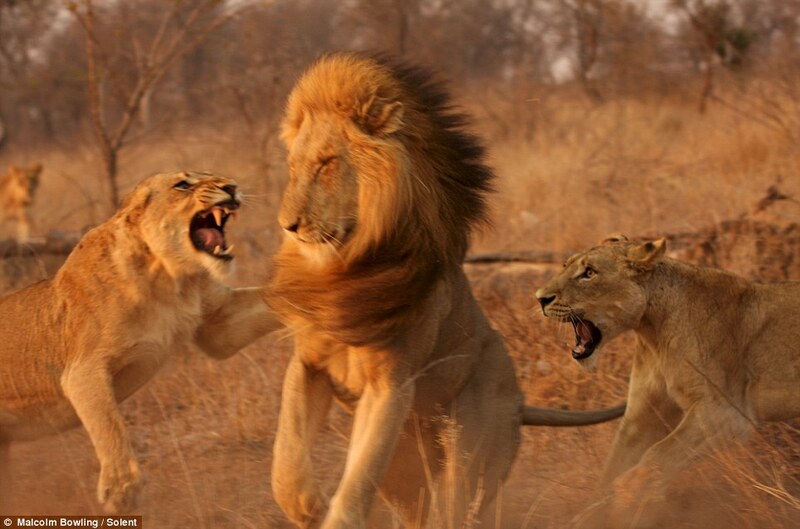 The females were out hunting when they spotted the lion, and fearing he might be competition, they gave a show of force by landing powerful blows. Game ranger Malcolm Bowling captured the images of a lifetime as he instinctively snapped away during the dramatic encounter, which lasted just seconds..
One of the lionesses had just given birth to a litter of cubs and had hidden them in a den while she went hunting with a fellow female. 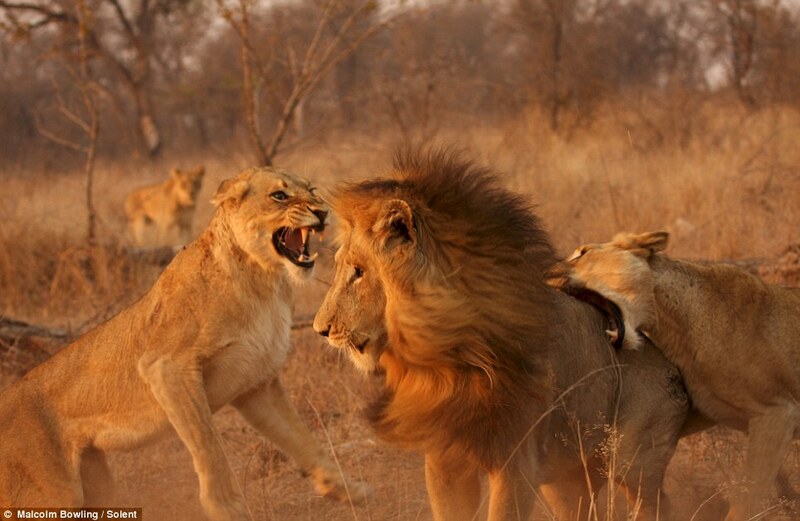 After spotting the lion, she made her way towards him followed by the other female, before they pounced on the male and made a joint attack. Once the lionesses had made their point they disappeared off into the savannah in search of a meal for the newborn cubs. Malcolm, 34, from South Africa, took the photos at the country’s Kruger National Park and said he had been stunned by the encounter.